Many people wonder whether they can get paid for plasma donation. You can indeed donate plasma for money. How much it pays varies from place to place. Below, we offer a list of centers that pay well for plasma donations. And, we also give you tips on how to locate even more plasma donation centers near you! Plasma is just one component of blood. It’s a super important component because it cannot be made synthetically. It can only be taken from healthy adults. Since it cannot be manufactured, and many companies require it for producing medicines and treatments, plasma is in high demand. Plasma is a yellow liquid that makes up around 55% of the total blood volume. You can donate plasma at centers around the country. What is Donated Plasma Used for? Donated plasma is used to create therapies for a variety of conditions and diseases, such as autoimmune disorders and hemophilia. Also, it can be used in the treatment of trauma, burns and shock, and for other medical emergencies. So, by donating your plasma, you can help those in need in a variety of ways. Okay, so a lot of people think that donating eggs or plasma is a quick and easy process. And, while plasma can’t be produced synthetically, so it is in demand, companies and organizations still have requirements that potential donors must meet. Plasma donation requirements will vary from place to place. So, one place may have a slightly different age bracket for donors, for example. And, some places may not accept donations from people who’ve recently gotten a tattoo. Be aged between 16 years old and 69 years old. Some places, however, require donors to be slightly older than 16 years old – in some states, you’ll need to be 19 and some centers will only accept donations from those aged 18 years or older. Others require donors to be younger than 69 years old, with some putting the cap at 66 years old. Weigh at least 110 pounds. How much you weigh also affects how much plasma you can donate. Be in good health. So you feel well and are able to perform everyday activities. Also, you’ll need to be clear of certain health conditions, diseases, and viruses, such as HIV. Finally, many donation centers will not take donations from you if you have had any ear piercings, body piercings, tattoos or permanent makeup done during the past 12 months. Of course, as we said above, the requirements will differ from center to center. So make sure that you read the requirements for your local center. You can also contact the center you plan to donate through if you aren’t sure of the donor requirements. One of the most important things to remember when visiting your local center is to take your ID and proof of address with you. This is because you’ll need to provide verification of donor identification and local address on your first visit as well. Generally, you’ll need a valid photo ID. This can be your driver’s license, passport, military ID, or state-issued identification. If you’re a student, then you can bring your school ID with you and a copy of your birth certificate to verify your date of birth. Also, if you have an out-of-state ID, then you will need to provide proof of your current household address. This can include a photo ID, W-2 form, paycheck stub or a utility bill from the past 30 days that includes your full address. You might also need to have proof of your social security number. So this can include your Social Security card, a paycheck stub that includes your full name and Social Security Number, or a W-2 form. Another option is to get social security verification from your local Supplemental Security Income office. Also, if you are not a U.S. citizen, then you can instead offer your Border Crossing Card – such as your B1, B2, VISA, or BBC card. Okay, so if you’re interested in donating plasma, then you’re probably wondering what the process is like. This is a common question online. So do keep that in mind. When you first visit a donation center, the staff will greet you, and ask you to provide your ID, proof of residency and proof of your Social Security Number. Then, the center’s staff will review your medical history and you’ll need to undergo a physical examination/medical screening to verify your eligibility as a donor. This will test you for viruses, like HIV and Hepatitis. Also, your protein and hemoglobin levels will be evaluated. You’ll also need to register and fill out paperwork. If you pass the examination and meet the donor requirements, then you’ll start the process of actually donating your plasma. The process of donating plasma is, in some ways, pretty similar to the process of donating blood, but also very different in other ways. As with a blood test, when donating plasma, a needle is placed into a vein in your arm. While taking blood may take just ten minutes, the process of taking plasma takes much longer. Like when you have a blood test, the whole blood is drawn, but only the plasma part is retained. The plasma is collected through a process called plasmapheresis. Plasmapheresis involves a machine that removes the whole blood and then separates the plasma component of it into a container. Then, your red blood cells/other parts of the blood are re-infused into the body. The donation process is usually longer the first time that you do it, as you’ll need to undergo a screening and answer some questions before they actually start taking your plasma. The plasmapheresis process, so the process of actually taking the plasma, takes around 90 minutes. So, on your first visit to a center, the entire process can take 2 hours on average but could take up to three hours. After your first visit, the process will usually only take around 90 minutes. Okay, so if you’re eligible to donate plasma, then you might be wondering how often you can make donations. The U.S. Food and Drug Administration (FDA), allows people to make two donations within a seven-day time period. And, donors must wait at least 48 hours between donations. So for example, if you donated on Wednesday, then you can make another donation on Friday. This means that you can donate plasma no more than twice during a seven-day period. How much does plasma donation pay? Now, here’s what most people want to know when they consider donating plasma – how much do you get paid? Well, the answer is that it varies. Donating plasma isn’t the most lucrative thing you can do, but it does pay pretty well, and better than some of the other options for making money that are available as well. On average, you can get paid anywhere from $20 to $50 per donation, but since each center offers different compensation rates for donors, you could get paid more or less than this. This means that you could make anywhere from $160 to $400 per month. 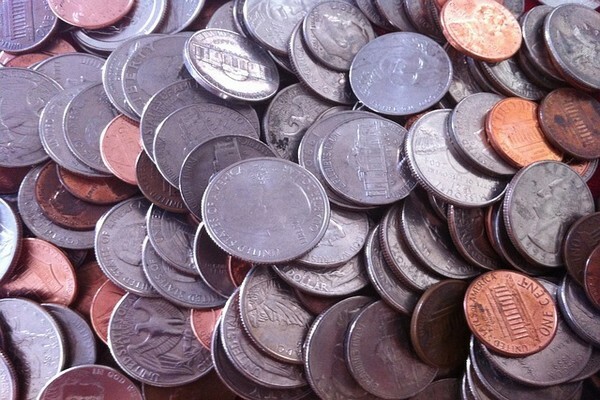 To make this amount, you’ll need to donate twice per week. The volume of plasma that you’re able to donate sometimes has an effect on how much you’ll earn. The FDA has guidelines that determine how much plasma a person can donate based on their weight, which are 110 to 149 pounds, 150 to 174 pounds, and 175 to 400 pounds. The more you weigh, the more plasma you’re able to donate, and the longer it will take to donate, so you’ll usually be paid more. Some donation centers offer special coupons and promotions that allow you to earn more. For example, some may provide refer a friend offers, where you get money, such as $20, when a friend of yours makes a donation. Since your first donation takes the longest, you’ll usually get more money for it than you will for subsequent donations. After all, these centers are compensating you for your time, so the more time you spend at the center, the more you’ll earn. That being said, centers like repeat donations, so some will offer incentives for your subsequent visits, such as your fifth and eighth visit. Okay, so if you’re considering selling your plasma for money, then you’re probably wondering how these centers pay you. You might be wondering if you get quick cash on the spot or cash to your bank account or PayPal account. While all centers differ when it comes to payment methods, the most common type of payment is a prepaid debit card. Make sure that you check with your particular donation center to get the details of how you’ll be paid. Below, we’ve outlined some of the best plasma donation centers that pay. We’ll tell you how much each center pays and direct you to the right place so that you can start making money by donating plasma. CSL Plasma pays up to $400 per month. Payment will vary from center to center though. So it’s likely that you have a CSL Plasma center near you! If you’re wondering “how much does CSL plasma pay?”, then contact your nearest center to get an exact figure for donation. While rates vary from center to center, when you donate blood to Grifols, you can earn up to $200. The company does state, however, that you can only earn up to $200 a month if the plasma you donate is used to help make medicines. According to the company, only plasma from repeat donors is used to make medicines. If you don’t return to make a second donation, then your first donation cannot be used to produce medicines. Basically, this means that you’ll have to donate more than once to make the $200. Just get in touch with your local donation center to learn more about donor compensation. Another place where you can get paid to donate plasma is at Biotest Plasma. The company doesn’t state how much it pays on its website. However, on the Twitter account for its Athens, Georgia center, the company says that it pays between $30 and $45 per donation. Get in touch with your nearest donation center to learn how much you’ll be paid. Active donors can earn up to $300 a month at BPL Plasma. 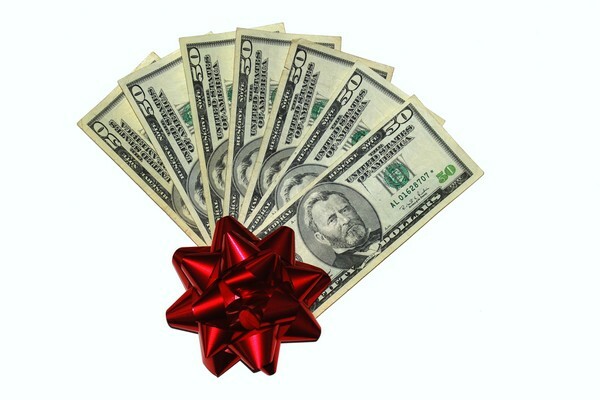 You can earn this amount from monthly promotions, referral fees and actual donation fees. KEDPLASMA doesn’t state how much it pays on its website. However, users on Reddit report their earnings at the company’s centers. One user in this Reddit thread says that they earned $50 per donation, twice per week, but that you need to have type negative blood in order to do this. A user in this Reddit thread says that you can earn $250 over your first five trips, but after that you’ll earn less money. In this Reddit thread, a user says that they make $300 a month, and $35 to $40 for the first and second donation in the week. Get paid to donate plasma at B Positive Plasma. 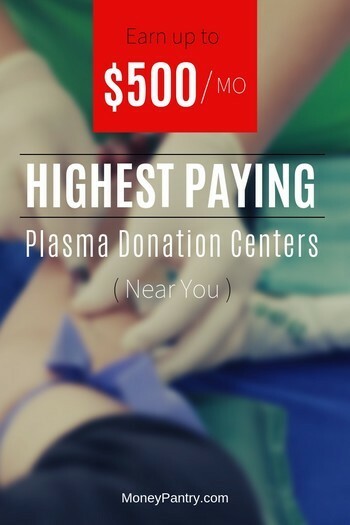 You can earn over $500 a month, making this one of the highest paying plasma donation centers out there. What’s great is that there’s an offer called the 5×50 promotion available to first-time donors. You can get $50 per donation for your first five donations. Also, the company offers a $20 referral bonus. Just refer a friend and when they make their first plasma donation, you’ll earn money. It doesn’t have as many locations compared to the other places on this list, but it does pay well. The Interstate Companies doesn’t state how much it pays on its website. The company says to contact your nearest center for exact details on payment. Users on Reddit, however, do state how much they’ve earned with the company. One user on this Reddit thread says they were paid $50 for each donation, for their first five donations. After that, they were paid $25 to $35 per donation. Another user on this Reddit thread says that they earned $360 in a month, earning $35 for their first visit and $45 for their second visit, with a $10 bonus on the fifth to eighth visits. This user also states that they can get $75 for their first couple of donations. At GCAM Plasma, you can earn $25 to $40 per donation. Octapharma Plasma does not state exactly how much it pays. It says that the amount of money you make will depend on factors, like how long it takes you to donate. It says that donor fees can vary from month to month, by location, and depending on what, if any, promotions are on offer throughout the year. Octapharma Plasma says to contact your local donation center for more information. Currently, the company says that with a donor promotion, new donors can make up to $250 for their first five plasma donations. So as a new donor, you can get $50 per donation for your first five donations. Also, Octapharma Plasma says that many of its centers are running frequency bonuses, for people who donate twice per week. With this promotion, you can get up to $60 to $75 extra. One user in this Reddit thread says that the company pays up to $50 per donation. Another user on the thread we linked to above, earned $20 to $30 per donation, and made around $200. But, it’s important to note that this user says that they are in the top weight bracket. BioLife doesn’t say how much it pays donors. There are some reports on Reddit, however, from people who have donated plasma with this company. One user on this Reddit thread says that the pay is $20 for your first donation and $30 for your second donation per week. This user also says that there are promotions available, such as get an extra $30 on your 5th and 7th donation this month. Another user on the same Reddit thread says that you can earn $50 per donation, and another user says that they received $60 for the first visit and $20 for each subsequent visit. Another person on the same thread says you get $20 for your first visit and $30 for your second donation in the week. This person also says that there was a bonus available that offered an extra $10 to $15 for your second weekly donation, which earns you $60 to $65 per week. Immunotek does not say how much it pays. The company says that donor compensation varies depending on the center that you donate to. But, it does, however, state that you can get a $20 bonus when you refer a friend who donates. Above, we’ve given you companies that have centers in tons of different states across the country. However, there are a couple of other things that you can do to find plasma centers that pay near you. Are you wondering, where to find the highest paying plasma donations centers near you? Then a great website to check out is DonatingPlasma.org. Just enter your city and/or zip code into the search box, and you can instantly view tons of centers near you. It’s a great website with a huge database of plasma donation centers. Find your nearest donation center here: www.donatingplasma.org/donation/find-a-donor-center. Another easy way for you to find local plasma donation centers that pay is to do a quick internet search. Donating plasma is something that many of us consider doing to make money. A lot of us, though, have questions about the process. With anything remotely medical, we all want to know exactly what to expect! In this section, we’ve included answers to some of the most common questions that people have about donating plasma, including what to expect when you arrive at your local donation center. And, we’ve also offered tips for donating plasma successfully as well. So if you’re unsure about anything in the whole process, then read on! What to do before donating plasma? A lot of people wonder what they should do (and shouldn’t do!) before they go to make a plasma donation. Read on for the why and how you should do or not do these things. We can’t stress the importance of this tip enough. Drinks lots, and we mean lots of water – around 6 to eight cups of water the day before and on the day of your donation. Foods that are high in protein include things like chicken and tuna. Foods that are high in iron include broccoli, collards and turkey. Eating fatty foods like potato chips, pizza, sweets or French fries on the day that you donate can cause your plasma to become milky. This will cause the center to reject your donation. So avoid eating fatty foods in the days before your donation and on the day of your donation. Do not drink any alcohol on the night before and day of your donation. Make sure that you avoid caffeine on the day of your donation as well. Sleeping properly will better prepare you to donate. So make sure that you get at least 8 hours of sleep. When you’re well-rested, you’ll likely feel better during the donation process. Since plasma donation does take much longer than blood donation, wearing clothing that’s comfortable is so important. 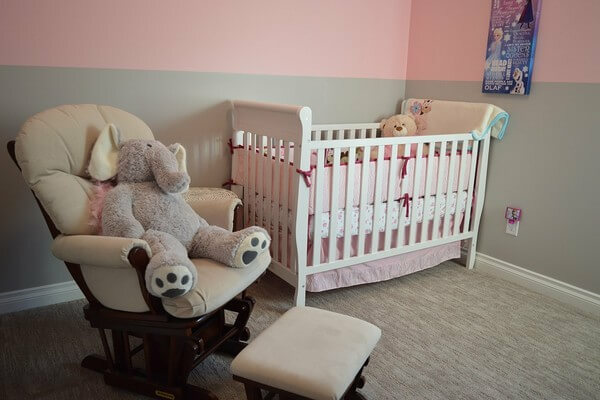 Remember that you’ll be lying in a recliner-style bed, and won’t be able to really move once the plasmapheresis process starts – so you’ll definitely want to be comfortable! It should also be practical. The sleeves should be able to be pushed up to your shoulders easily – sleeveless garments can work out best. Since you have to sit on a bed for 90 minutes while your plasma is taken, it’s easy to succumb to boredom. Many places have Wi-Fi, so you can browse on your phone, tablet or laptop. You could also consider taking in a book or a magazine. You can also uses these methods to make money when you’re bored. Keep in mind that you aren’t allowed to sleep during the donation process – since the staff needs to make sure you’re okay. So it’s really important to keep yourself entertained! It’s important that you don’t use tobacco for an hour before you donate. It’s best to avoid doing any strenuous exercise before your plasma donation. You might wonder what to eat after donating plasma or what to avoid after donating plasma. Once you’ve made your donation, it’s important to take a few steps. Stay Hydrated: Continue to drink plenty of water once you’ve donated. This will replenish any fluids that were lost during the donation process. Eat something: Eat foods rich in protein and iron not long after your donation. Also, eating or drinking something sugary right after your donation can make you feel a little better. Don’t do any heavy lifting or strenuous activity for 24 hours after donation. Make sure that you wait two days before you donate plasma again. This means that if, for example, you donated plasma on Monday, then your next donation shouldn’t be until Wednesday. When you donate plasma, you don’t really need to do anything. Just sit there while the machine takes the plasma. Staff members will check on you during the process to see if you are okay. Just dress warmly, and consider bringing a blanket. Also, consider taking a friend with you to chat to while you donate your plasma. How long does it take for your body to recover from donating plasma? It takes around 48 hours for your body to replace plasma. What medications will prevent me from donating plasma? Certain medications could prevent you from donating plasma. Multiple sclerosis medication, such as Aubagio. It’s best to bring a list of any medications that you take to the donation center. Taking medications doesn’t mean that you’re instantly excluded from donating. Just show the center your list of medications, and they’ll let you know whether you’re able to donate. Many medications don’t affect your plasma, so you should be fine. Can donating plasma make you tired? This is a question that a lot of people have. If your body has low levels of nutrients and salts, then you can become fatigued. This is why it’s so important to eat the right meals and drink plenty of water before you donate. Being fatigued after a donation is a common side effect, but it’s generally quite mild. How to Donate Plasma Faster? Well, there are a few tips for donating plasma faster. And they’re pretty easy to follow. The most important tip we can give you is to drink a lot of water. Being well-hydrated can make a huge difference! If you aren’t hydrated enough when you donate, it slows down your donation speed, because your blood is thicker, making it harder for the machine to collect your plasma. Dehydration is one of the most common reasons for slow donation. Since plasma is 90% water, ensuring you are properly hydrated can make a huge difference. Of course, you can be too hydrated. When you drink too much water, it can cause your blood iron levels to become too diluted. And this can cause you to be disqualified when staff at the center check your iron and hemoglobin levels. Another tip is to pump the fist of our donation arm during the process of taking plasma. Using a stress ball can be a good idea. Making a fist often will make the plasma donation process faster. Just ensure that you keep the arm still as you pump your fist. Regularly squeezing your hand can boost circulation. And the faster your blood circulates, the faster you’ll donate plasma. One of the most common questions about donating plasma that people have is does plasma donation hurt? It’s natural to wonder whether the process of donating plasma would hurt. Most people who have donated say that the feeling of the needle is comparable to a mild bee sting. Aside from the needle that extracts the plasma, the center will also require you to submit a finger prick test. This is so the medical staff at the center can evaluate your protein and hemoglobin levels and also check that your blood is not milky due to fat consumption. It’s common to wonder what the after effects of donating plasma are. It’s safe to donate plasma, as it’s done in a controlled, sterile environment by professionally trained medical staff. Don’t forget that if you are still have any questions about donating plasma, you can ask a member of staff at the donation center, either on the phone before you get there or when you visit the center. As you can see, there are quite a few centers across the country where you can earn cash for making a plasma donation. What’s great about these companies is that they have centers across tons of different states. So, if you’ve been wondering “where can I find the highest paying plasma donation centers near me?” then give one of these companies a try. Also, if you’ve ever donated plasma before, then let us know about your experience below, or if you’re considering becoming a donor, let us know how it goes in the comments section. I didn’t know there was a market for that. Personally I would feel a little uncomfortable. But I doubt however we have these as an option in South Africa. So needless to say I have never done any plasma donation. But thanks for a rather interesting read.